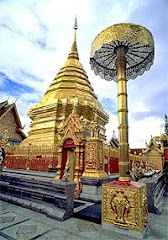 Phra That Na Dun , or the Buddha Monthon of Isan, is the area where historical and archaeological findings that proved the magnificence of the ancient city of Champa Si were made. 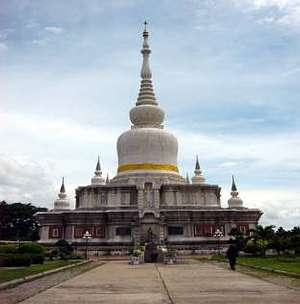 Artefacts found here are now on display at the Khon Kaen National Museum. 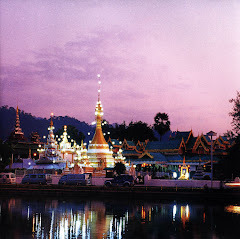 The most important piece is the stupa (pagoda) encasing the holy relics of Lord Buddha in gold, silver and bronze caskets. The site was from the Dvaravati period of the 8th-10th century. 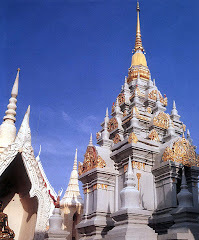 This model for Phra That Na Dun comes alive every Makha Bucha Day. great photo and great blog! Beautiful image. Thanks for the links to other temples. 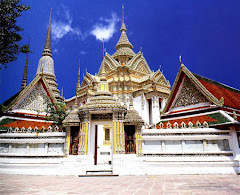 Find travel information and holiday offers in thailand from cheap and secure online uk travel agents.